Communities we Serve- Munster | O’Drobinak & Nowaczyk, P.C. O’Drobinak & Nowaczyk, P.C. is an elder law and estate planning law firm proudly serving clients in Munster, Indiana. Our firm has helped people of all ages in this Northwest Indiana community to make plans for their futures so they can protect themselves and provide for their families no matter what life brings. Give us a call at 219-865-2285 today to find out how a Munster elder law firm can help you. Munster is considered a bedroom community of the Chicago metropolitan area. It is located approximately 30 miles from the Chicago loop, offering a reasonable commute for those who want to work in Chicago but enjoy a more peaceful lifestyle outside of the urban center. Munster had a population of 23,603 as of the most recent census. The town is bordered by three small lakes, including one marshy and undeveloped lake that is located within Centennial Park. Munster spans a total of 7.65 square miles, 1.05 percent of which is water. The area is named for Jacob Munster, who opened a U.S. postal station and general store in the area. It was not incorporated as a town until 1907, when a total of 76 residents voted in favor of incorporation and defeated the 28 residents voting no. Today, Munster has a thriving business center which was redeveloped for $60 million as part of a 2011 project. The town also has a community hospital, a Center for Visual and Performing Arts, a bottling and distribution company for Pepsi, and multiple parks with biking trails. Centennial Park and Golf Course, one of the largest recreational facilities in the area, is LEED-Certified. Craft brew fans also flock to Munster to visit a local microbrewery in Munster that has attracted a cult following throughout the region. In Munster, 18.7 percent of the population was 65 or older as of the most recent census. A total of 13.1 percent of households were made up of a person aged 65 and older who was living alone. Older people, especially those who live alone, may eventually require skilled nursing home care or may wish to move to an assisted living environment for help and companionship. There are 154 senior living communities identified in and around Munster by Senior Housing.net. Caring.com also indicates that there are adult daycare services available to Munster seniors who require supervision or assistance with daily living but who do not wish to live in a nursing home environment. Seniors in Munster may also take advantage of senior services available for all Lake County residents. Northwest Indiana Community Action provides aging and disability resource centers, information on wellness programs and home health services, nutritional assistance, and more. Seniors can take advantage of these services to help them stay independent for as long as possible. 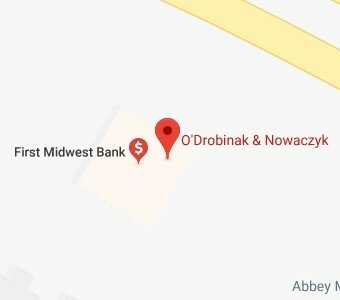 O’Drobinak & Nowaczyk, P.C. can also provide assistance to seniors in planning for the day when nursing home care may become necessary due to aging. O’Drobinak & Nowaczyk, P.C. helps people of all ages to address end-of-life issues, estate planning issues, and legacy planning issues. In many cases, our goal is to help minimize time spent in court. For example, we assist with creating an incapacity plan that may include power of attorney so loved ones do not need to initiate guardianship proceedings if someone has become incapacitated. Sometimes, however, guardianship proceedings, probate proceedings, or other legal matters must occur in probate court. When this becomes necessary in Munster, the Lake County Indiana Probate Division of the Circuit Court is where legal proceedings will take place. This court is found at 2293 Main Street in Crown Point, Indiana 46307. The telephone number to reach the probate division is 219-755-3488. The courtroom for probate and estate matters is Courtroom B203. O’Drobinak & Nowaczyk, P.C. can provide assistance to those who must go before this court. We represent executors of an estate, as well as trust administrators, those seeking to contest a will, heirs or beneficiaries, and those initiating conservatorship or guardianship proceedings. O’Drobinak & Nowaczyk, P.C. has a long history of representing clients in Munster, Indiana who want to make an estate plan, who want to plan for their future, or who need help with probate and estate matters. Give us a call to find out more about the ways in which our elder law and estate planning attorneys can assist you.